Hello! After months of neglect I've finally spent a bit of time redesigning my website. With my time at university having drawn to a close I've managed a couple of trips out and about with my camera back home. 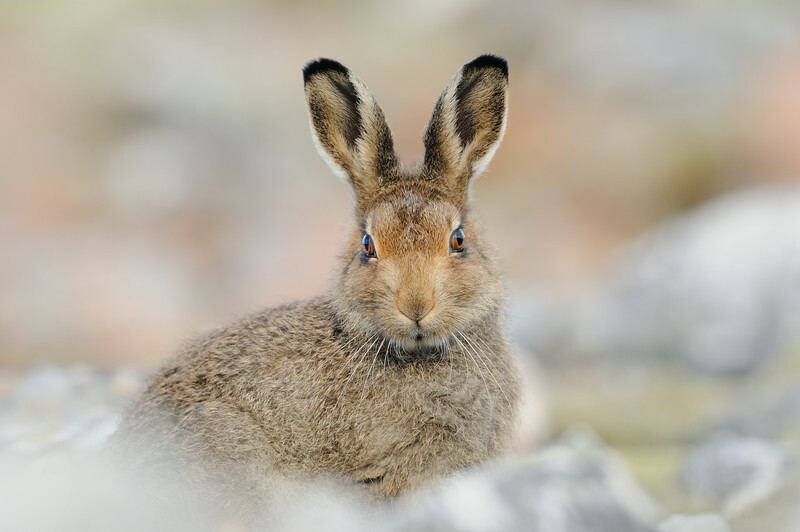 A couple of weeks ago I spent an afternoon out in the hills searching for one of my favourite species, the charismatic mountain hare. It was a breezy but bright day up on the high tops with numerous hares enjoying the warm sunshine. We headed up to a favourite spot where there's usually a good chance of finding a hare or two. At this time of year many of the leverets are almost fully grown, and occasionally you'll find an individual that's a little less timid than the rest. This month I'll be speaking at the Scottish Nature Photography Festival at Scottish Natural Heritage's Battleby centre near Perth. For more information about the event and to purchase tickets click here.